Canadian Daily Deals: Swagbucks Nike Bonus Days are back! Swagbucks Nike Bonus Days are back! 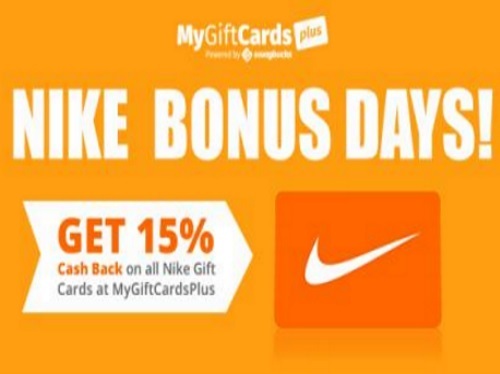 MyGiftCardsPlus is a great site where you get cash back for buying gift cards - the cash back is paid out in the form of points from Swagbucks, which is a great website where you redeem those points (called SB) for gift cards to places like Amazon, PayPal and Nike!